Every evening after dinner, we have a camp wide group activity called Evening Activity. The focus of every Evening Activity is bonding and comradery. 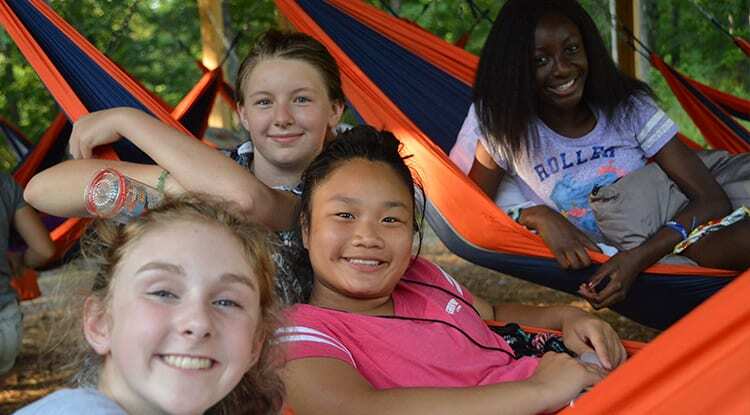 Whether campers are holding animals during the Circle of Life, roasting marshmallows at Campout, or competing with other cabins during Capture the Flag, campers are spending time with their cabin mates, getting to know each other a little better and strengthening friendships. The Opening Campfire signals the official start of a session! Games and songs around the roaring fire get us all in the camp spirit and ready to launch into the week! On this night, campers start or continue their bead collection. Beads are a tradition at Cub Creek that signify our time spent at camp, our knowledge gained, and our goals achieved. Every camper receives their yearly camp bead on this night. We recognize campers joining us for the first year, and those coming for their 10th year and more, and all our friends in between. Animals, Animals, Animals! What can be better than to have a parade of animals visit you in your cabin?! 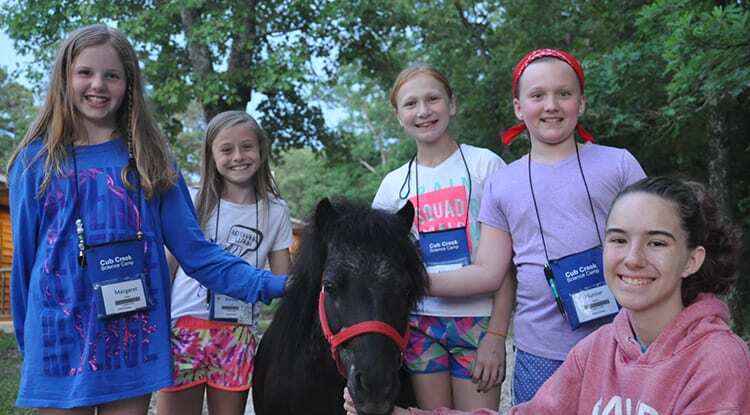 During camp's Circle of Life, campers will have a new animal visit their cabin every 15-20 minutes, while they have a chance to hold and take their picture. Our lovely teen leadership team, the ASITs, will be bringing these animals around and teaching campers about each animal they're accompanying. 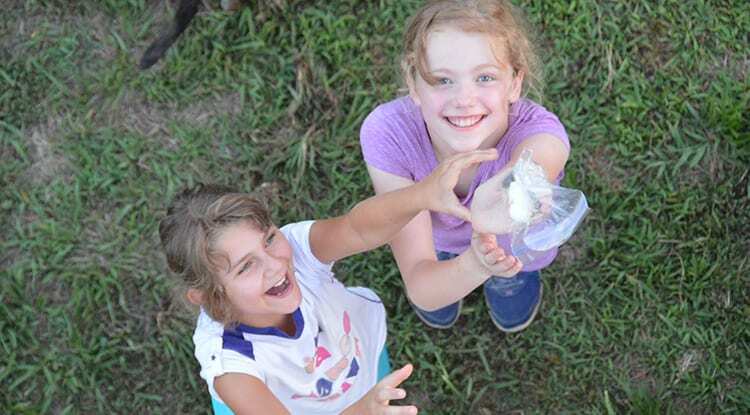 On Campout Night, campers enjoy a night under the stars! The meal for the night is foil packs - a favorite for many of our campers and counselors (and directors!). Our camp sites have pavilions that were built to allow campers to sleep in a hammock and be able to stay out no matter the weather! Roast marshmallows and mingle with friends from all the cabins. Camping out is an optional activity and campers have alternative sleeping options if wanted. 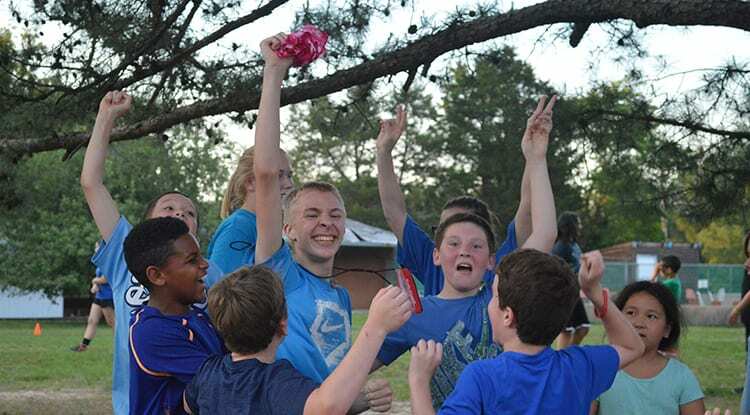 Who would have thought that one of camp's most beloved evening activities would be Capture the Flag?! Camp is divided into two teams and counselors become the coaches and referees for this camp wide game. Cabins work together to Capture the Flag, as many times as they can over the hour long game. Don't want to play? No worries! Cheer on your team or dance to the music being played on the sidelines! Regardless of who wins, everybody has a good time! One of the oldest traditions of camp is our Friday evening Skit Night. 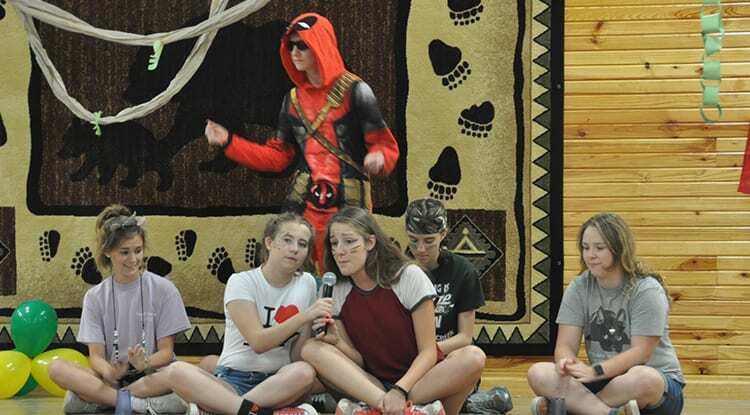 Over the week, every cabin creates and practices their own skit. They then perform this skit on the last night of the session. Skit Night signifies the end of a session with a closing speech from camp's Director and the awarding of final beads. Campers in their last year of camp are recognized and given their final bead - The Legacy Bead. 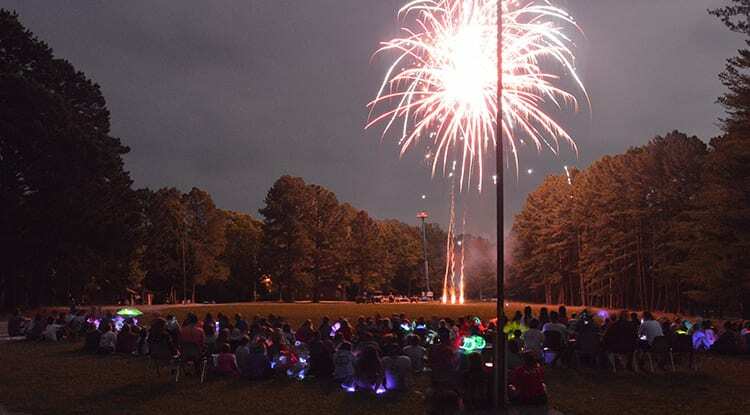 The 4th of July is a HUGE deal at camp! We have a great BBQ meal, followed by an outdoor carnival with fun and games. Campers spend the evening face painting, swimming, eating treats, and tie dying and pieing counselors booth until the sun starts to set. Next, is a spectacular firework display right here in our main field! Last, campers end the night with sparklers. Our photographers run around camp all day trying to capture each moment of the evening activity! These pictures are definitely worth waiting for! Our two-week sessions offer and even bigger variety of evening activities! 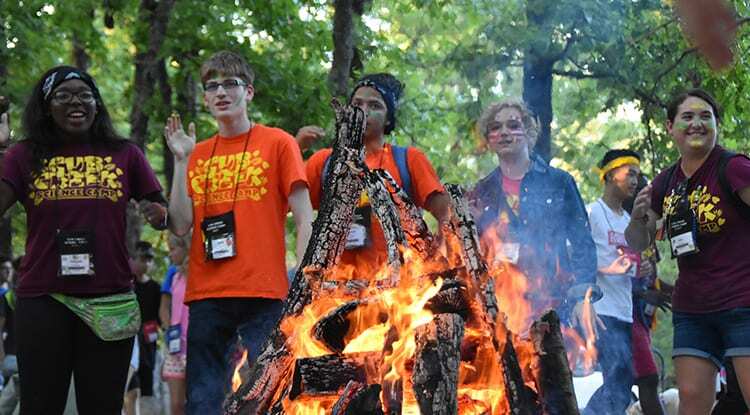 In the multi-week sessions, we change things up with classic camp evening activities and new ones! This is a Cub Creek original that is very hard to describe...but we'll try. 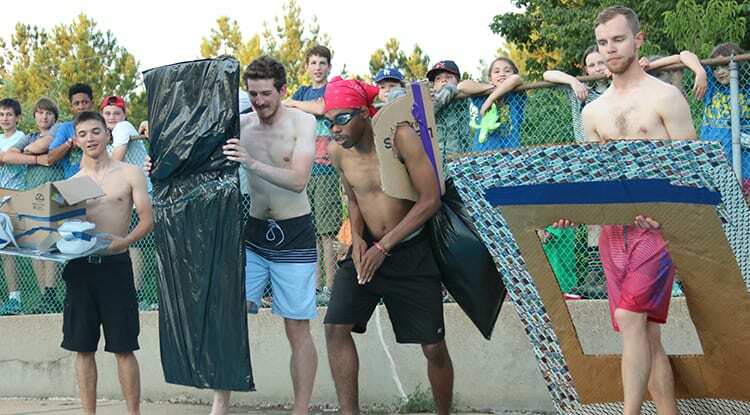 Think of a team challenge that involves blindfolds, a lot of water, obstacles and a giant foam pit! Only done in the multi-week sessions, Floop-a-flar is a camp favorite that is both fun and a way to beat the Missouri heat. 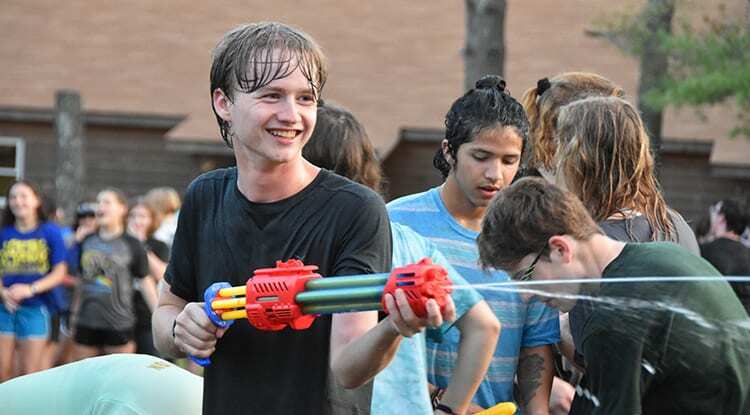 Some of our favorite camp pictures are from this wild..and wet activity! All the cabins will gather together in Fox Field with a cabin blanket full of random items. The Special Events Coordinator will stand in front of all the cabins and start a phrase with "I need...". Whatever he asks for, the cabins must bring to him! You just never know what item or task your cabin group will be asked to bring forward. Maybe he needs a counselor wrapped in toilet paper like a mummy. 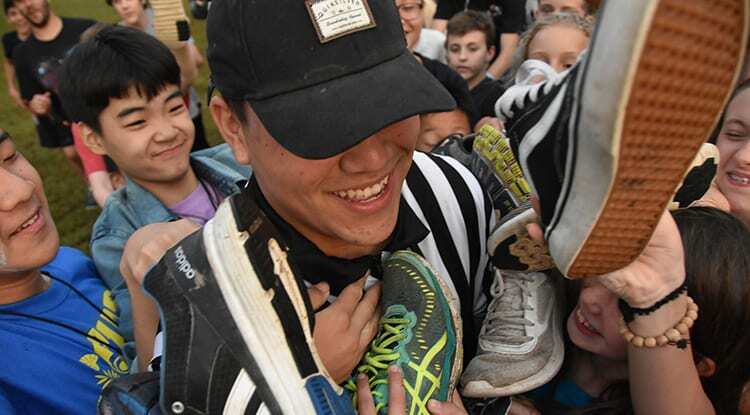 Or perhaps two campers have to bring him all the left foot shoes from the people in their cabin! Listen close and be creative in this fun (and wacky) activity! Using cardboard, tape, and a few random items, cabins work together to build a boat fit for a counselor! These boats are then carried proudly as campers usher their designated captain-counselor to the pool. Campers cheer on their counselor as they race other cabin counselors in their boats! The whole camp gathers around the pool to cheer and laugh! 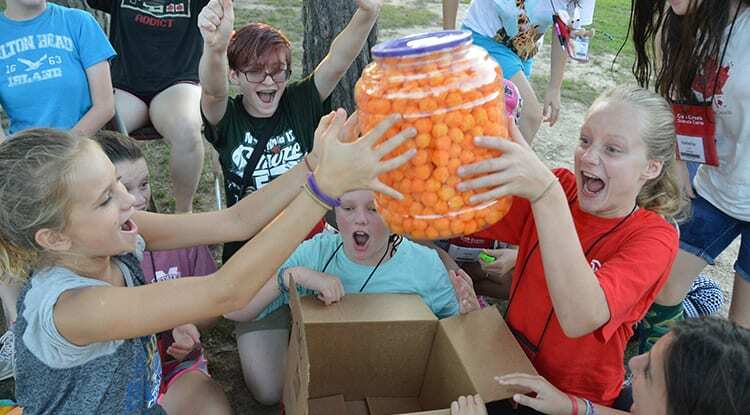 Cabins are provided bags with random props and items to dress up a counselor from their cabin. They must use creativity to match their costume design to a theme. They work together to write a backstory for their character to present at the big show. Dressed up counselors head up to the event early to not spoil the surprise for other cabins. 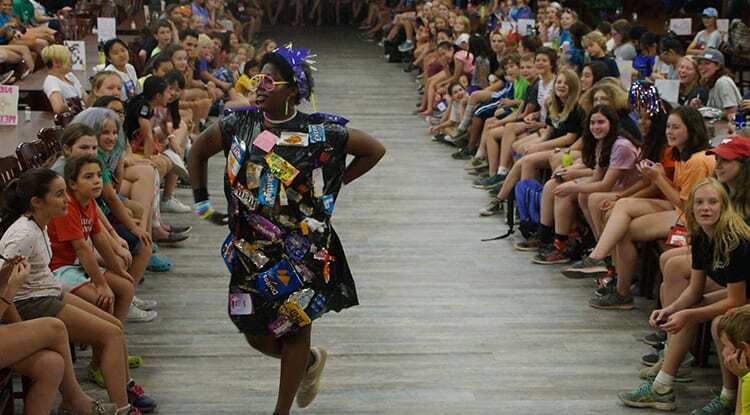 With a runway and music, campers gather to watch counselors strut their stuff! The best costume with the best back-story wins! This is a fun science challenge. Each cabin group is given one precious egg and 15 minutes to devise the best contraption to protect their eggs from a daring drop! One by one, cabins' eggs are dropped from our boom lift, at over 30 feet in the air. Celebrations for the unbroken eggs continues with an intense cabin vs. cabin egg toss! Two counselors from each successful cabin are nominated to egg toss their unbroken egg against each other. Everyone is cheering and there is lots of laughing! Cabin groups work together to earn auction bucks that they can use to bid on mysteriously wrapped treasures. Campers work together to decide which boxes to bid on and like a holiday party, campers rip open boxes to reveal what's inside! It could be anything! From treats to tricks the activity is all about having a good laugh!